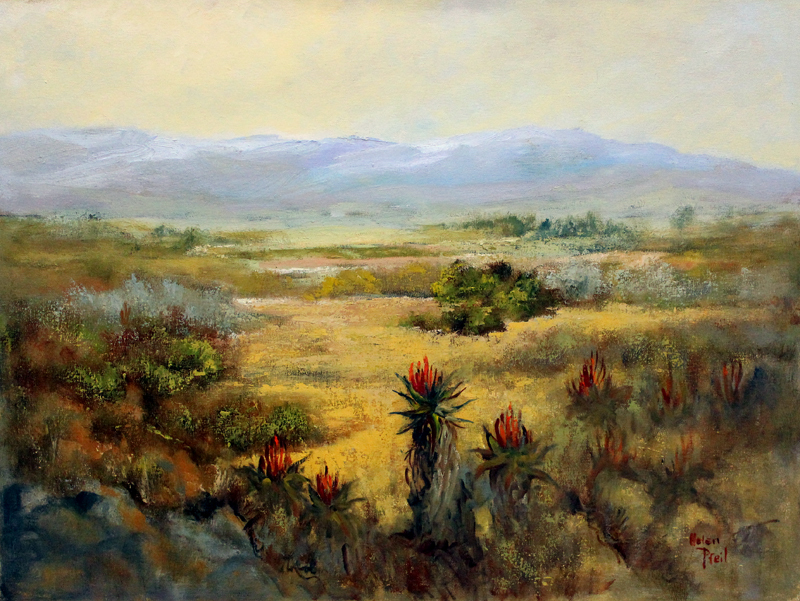 Helen Pfeil started her art career in 1982 while living in Hout Bay, Cape Town under the tutorage of the well-known art master Bill Yates Wilson. 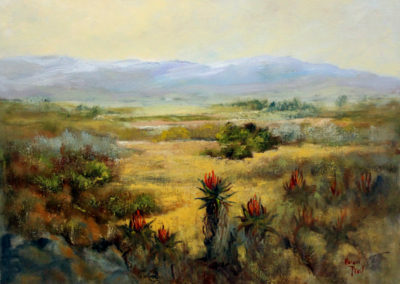 After a successful sponsored first exhibition Helen’s work was shown and sold from home and from a gallery in Newlands. 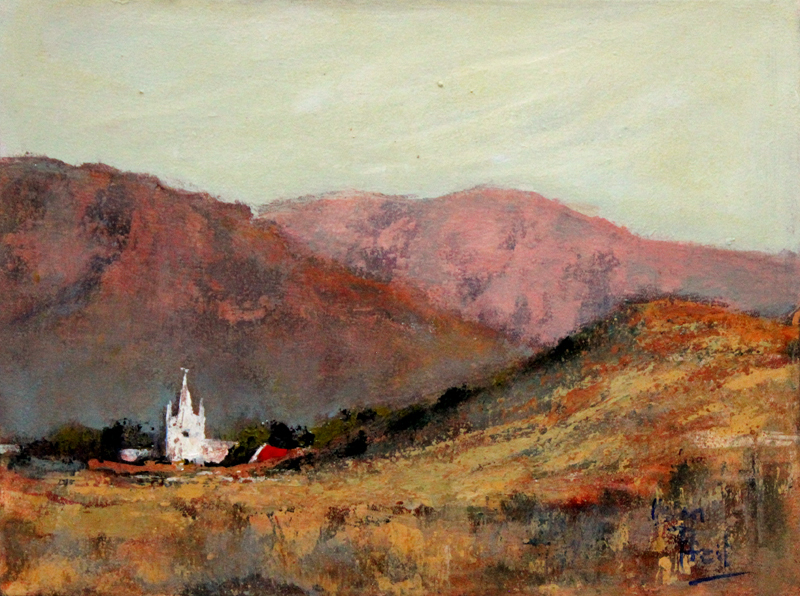 A number of commissioned works were also completed at that time signed under her maiden name Dawn Stewart. Later Helen moved with her family to George on the Garden Route where a career change moved her into the world of fashion and her own Designer/Manufacturing Company. (Brand names “Summer Wind” and “Helen Taylor”). This kept her totally involved until the Company was sold in 2006. The way was then clear for to take up her brushes once again and enjoy her main interest. 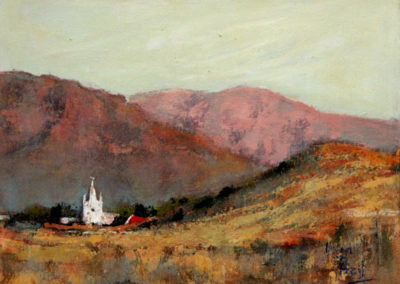 Helen’s style conveys a relaxed impressionism in either oils or acrylics. Her subject matter generally imparts an atmosphere of calm and space. “As far back as I can remember I have loved drawing, painting and making ‘things’. This desire to create led me to pursue my passion in the form of fashion design (brand name SUMMERWIND) which was in turn instrumental in the development of my own manufacturing business. During this time bringing up a family and being professionally occupied there was scant time in between for dabbling with paint and canvas.